The Colin Campbell has been a feature of Kilburn High Road back as far as 1898 and the name has never changed. 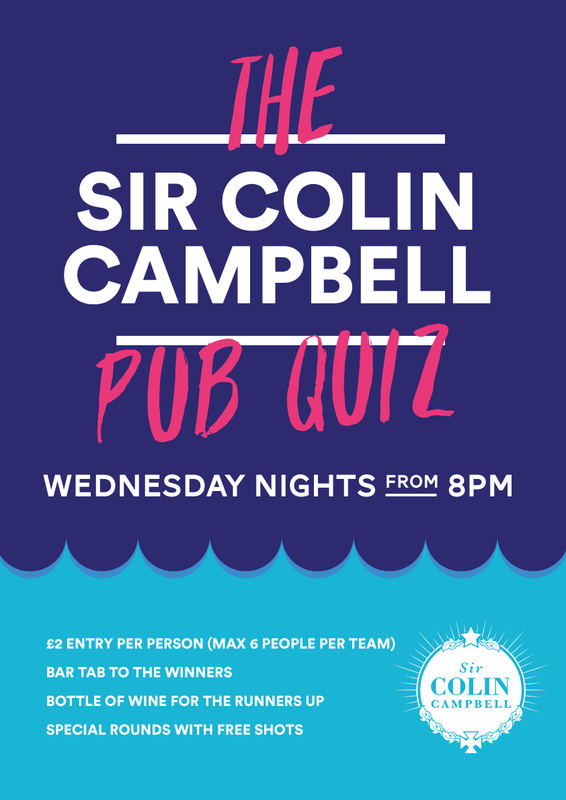 Sir Colin Campbell himself, the first Baron Clyde (1792-1863), most famous for his campaigns during the Crimean War and his service in India, inspired a group of his former soldiers to open a pub and name it in his honour. The Sir Colin Campbell has traditionally been an Irish pub, with a strong connection to Irish traditional folk music, performed here every weekend. We pride ourselves in staying true to our Irish roots and serve a fantastic pint of Guinness! We are passionate about our seasonal food (at the moment, served by Ta Ta Eatery), great range of independent cider, craft beers, real ales & superb cocktails. So pop down to the Sir Colin Campbell, for great drinks, thoughtful seasonal fare, wonderful music and a warm welcome!